For example, it was recently brought to my attention that the lovely, fragrant German laundry detergent I’ve been using for about three months is actually fabric softener. Who knew? Well, in fact, I had suspected for a few weeks. My clothes were so fragrant and soft! But were they clean? Well, they weren’t not clean. By the time I got home, I was mad to know more. I ripped out the Choco Pie box and scanned the label for clues–amongst the Cyrillic (Russian) script and German sticker stood out something I could decipher. Original since 1974. Ha! It wasn’t the original then–we got there first. 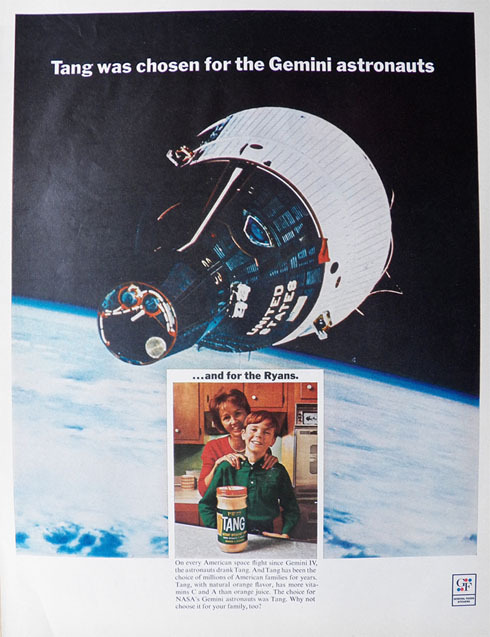 Not only did we get to the moon first*, but we got to the moon pie first. I chuckled as I opened the box and saw that the pies were smaller than their American counterpart. Well, what did I expect? 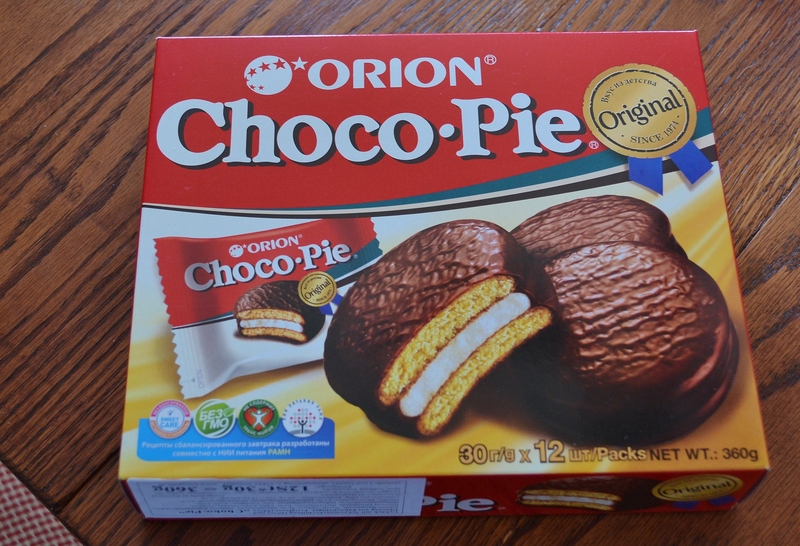 I live in Viet Nam and Orion Choco Pies are left as offerings to the ancestors in most family alters. I’ve rarely seen people eat them; they are many ghost food. That’s so interesting! Well, I can see that they’d be worthy of an offering; I’m definitely a fan. Thanks for stopping by and reading! Apologies, I should have written ‘MAINLY ghost food.’ That will teach me to read back what I have written before I click. It is actually a big compliment – the ancestors get the very best fruit, food, incense and cigarettes so they will bless the family. 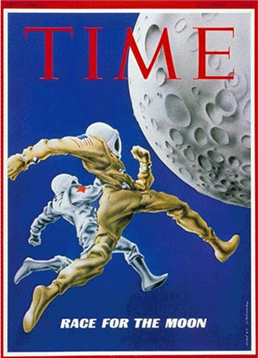 “Not only did we get to the moon first*, but we got to the moon pie first.” – this post was much fun to read! And reminded me of the time many years back when I was trying to explain ‘frizz-control shampoo’ to the all-German staff at a departmental store (ambitious I know, couldn’t just settle for regular ‘shampoo’). My German must’ve been pretty bad because they kept handing me shower gel instead. Thanks so much. And, yes, it’s always a comedy of errors trying to navigate consumerism in a foreign language! (But it makes for great stories.) I hope you finally got the frizz control you were looking for! 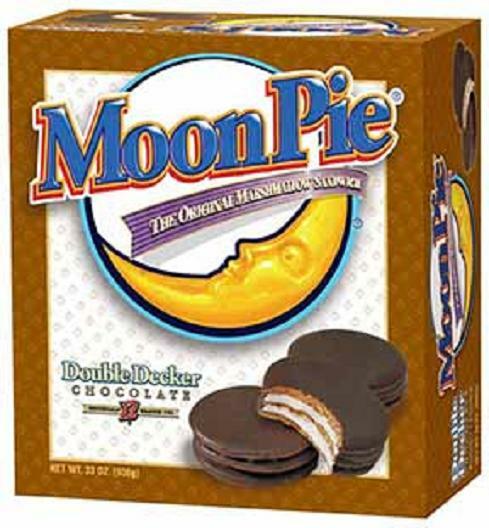 I honestly didn’t know moon pies were American. I’ve only ever had choco-pies in South Korea, so I like the update about the choco wars between North and South Korea. Fun, interesting post! Thanks. Yeh, sometimes political maneuverings take a silly turn!